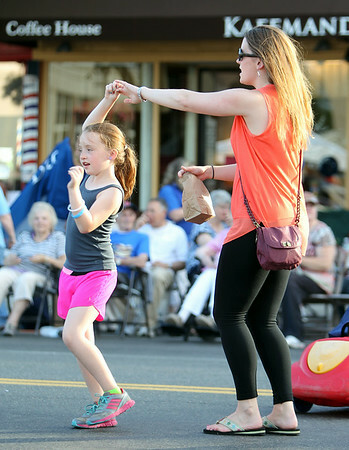 Eight-year-old Julia Spilman is spun around by her mother Lisa, while dancing along to music in Danvers Square during Oldies Night on Wednesday evening. DAVID LE/Staff photo. 6/25/14.